If you are wanting to buy a fire hydrant in greater Austin and surrounding areas for your city, school district, municipalities, hospitals, restaurants, or businesses, Fluid Meter Service Corporation has you covered! 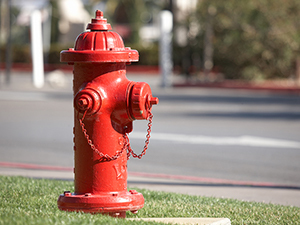 We offer a wide range of affordable, reliable fire hydrants available for purchase all around the U.S. Please feel free to contact us today for more information about our quality fire hydrants and we'll be happy to address any questions or concerns that you may have! We also offer Flow Testing services for our fire hydrants to make sure your water pressure and flow is running at optimal rates. This is a rare service that very few companies are certified for, nor provide. This also comes with our premium Annual Flow Testing services for frequent check-ups of pressure and functionality. That's why when you choose Fluid Meter USA you're getting the only the best services in the area, everything included. The color of the top of a fire hydrant as well as the color of the body are very significant. Regulations require certain colors to be used on hydrants so firefighters know which ones to use in case of an emergency in the area. Remember that when you're choosing Fluid Meter Service Corporation, you're getting all of the possible benefits of this type of work. Our company is authorized in things like Flow Testing, Annual Flow Testing and much more. These services require extensive amounts of training and experience, and we offer it to you, our customer, with guaranteed reliability. Here at Fluid Meter Service Corporation you can count on us for annual testing with our Annual Flow Testers to make sure your fire hydrant remains in prime condition with regulatory maintenance. We also provide an initial flow testing for current fire hydrants or new installations. Feel free to contact us for more information and find out more about our quality fire hydrant installations and flow testing. Call 888-352-1129 today!